When someone asks you to describe British fashion in one word, you have to apologise and offer them two: Vivienne Westwood. She rose to fame in the late 1970s, cementing her name as an architect of punk fashion and her reputation for her statement designs, and has since become an industry giant, respected and revered throughout the world. Nowadays, Westwood continues to make sure her fashion delivers a message. She often links her designs to causes close to her heart, the most poignant example being the iconic Vivienne Westwood Orb logo, which was inspired by Vivienne’s mantra: taking tradition into the future. It’s likely you’ll be a Westwood fan if you like to run against the crowd. If you stand up for what you believe in and unashamedly try new things and seek out new experiences. If you love designs that are out there, wacky, bold but at the same time stylish, chic and timeless, you’re in luck. 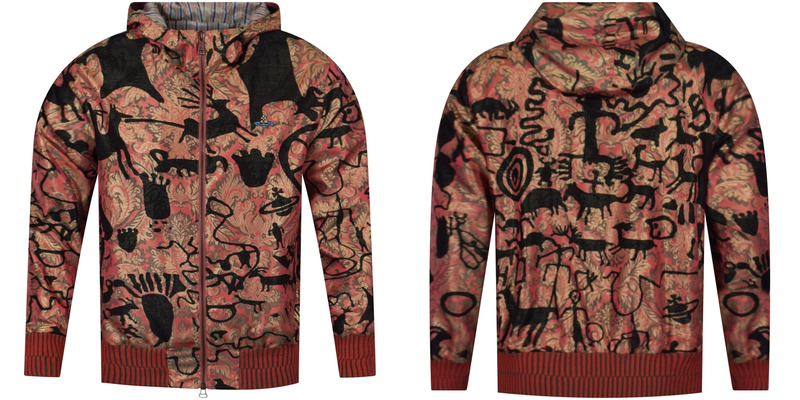 We’ve compiled some of our favourite Vivienne Westwood pieces from the site. And, if you fall in love, make sure to check out the full collection over in our menswear section. 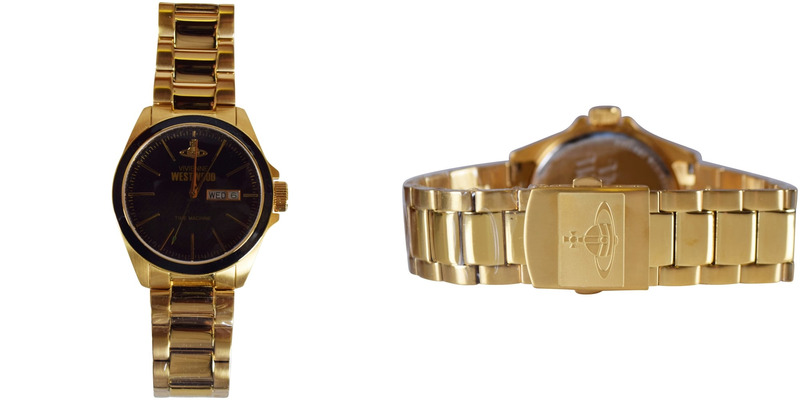 An outfit isn’t an outfit without the perfect accessories, and this watch will have you positively dripping in gold. This stunning timepiece features a gold plated finish with a black clock face. The famous orb is perched at 12 o’clock and nestled just under is the Vivienne Westwood logo embossed in gold print. A date plate sits at 3 o’clock for that extra organisational flair. The iconic orb also features on the clasp of the watch engraved into the metal. It’s classy, chic and surely the perfect watch for any flash gentleman! 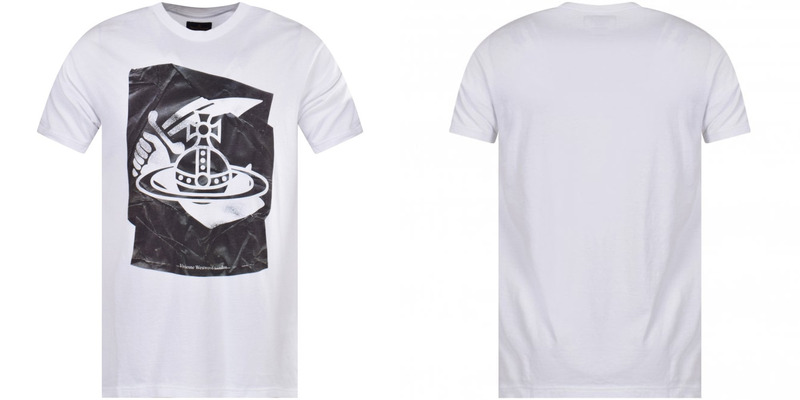 This photographic print t-shirt is brand new this season. Crafted from soft white cotton, this T-shirt is perfect for your Spring/Summer wardrobe, ensuring you’ll be cool and comfortable throughout the whole day. The design features the Vivienne Westwood orb emblazoned on a crinkled black paper background. It’s a cool, edgy design that would look perfect paired with jeans and trainers for a chic casual look. If you’re already planning looks for the summer, definitely add this T-shirt to your collection! Some people live in their sweatpants and, really, who can blame them. They’re insanely comfortable! The only downside is they can sometimes lack style, so if you’re a joggers aficionado, why compromise? 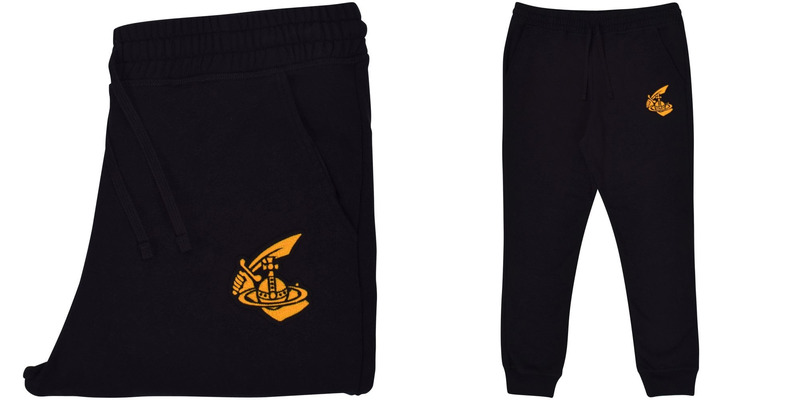 These fashionable black sweatpants are new this season and will ensure you’re looking comfortable and stylish all day long. Crafted from soft cotton, the design is completed with the orb, arm and cutlass logo in bright gold so everyone will know they’re Westwood! Complete the look with the matching sweatshirt, or wear them alone with a casual t-shirt. It’s up to you! We keep talking about it, but we really cannot get enough of khaki green this season. It was huge on the SS19 runways so it’s unsurprising that Vivienne Westwood got in on the act! This 100% real wool polo is perfect for the cooler weather we’re bound to have before Spring finally arrives. 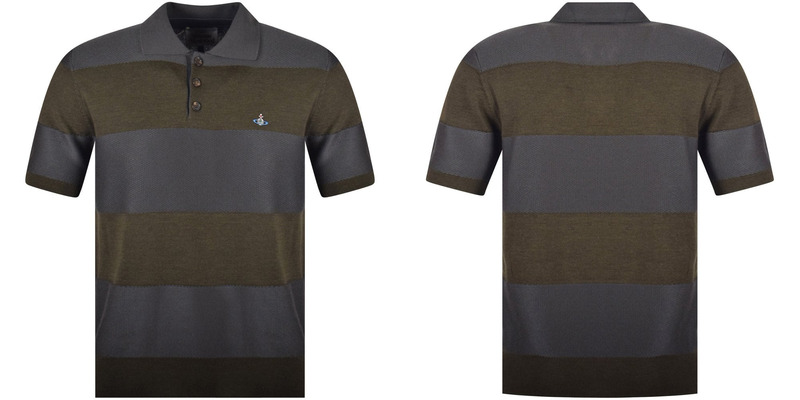 Featuring a striped design and the orb logo in technicolour to the chest, this polo is perfect for any smart-casual look. Consider adding this absolute wardrobe staple to your collection today! Every man needs a good quality, comfortable and stylish zip-up hoodie. 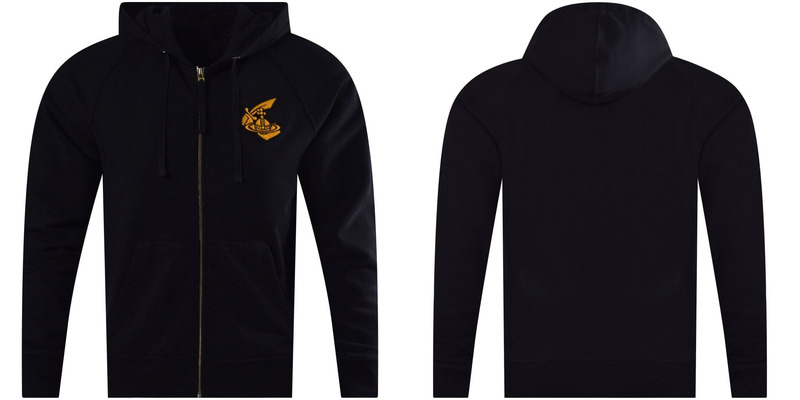 Brand new from Westwood, this jet black hoodie features the orb, arm and cutlass logo in bright gold to the chest, embroidered in chenille. The hoodie is crafted from 100% cotton making it breathable and perfect for cooler spring days. So to upgrade this essential item, grab yourself one of these stunning hoodies before they’re gone! The perfect statement jacket can be very difficult to find. But we think you can stop your search here now you’ve seen this stunner. This outstanding bomber jacket features a red, gold and green background of leaves and foliage, on top of which bold black designs are emblazoned creating a contrasting look that will turn heads wherever you go. The orb logo is present, of course, embroidered to the chest, and the jacket also features cuffs and trim in a cool, stripy pink and green design. This jacket is a winner in anyone’s eyes, so make sure you grab yourself one and it won’t be around for much longer!